GLASGOW, July 28, 2014 - Ho Ying (R)/Beh Lee Wei (C) of Malaysia compete during the women's team final of table tennis against Lin Ye/Yu Mengyu of Singapore at the 2014 Glasgow Commonwealth Games in Scotstoun Sports Campus in Glasgow, Scotland on July 27, 2014. Lin Ye/Yu Mengyu defeated Ho Ying/Beh Lee Wei 3-1 and Singapore won the gold medal by a 3-0 win. 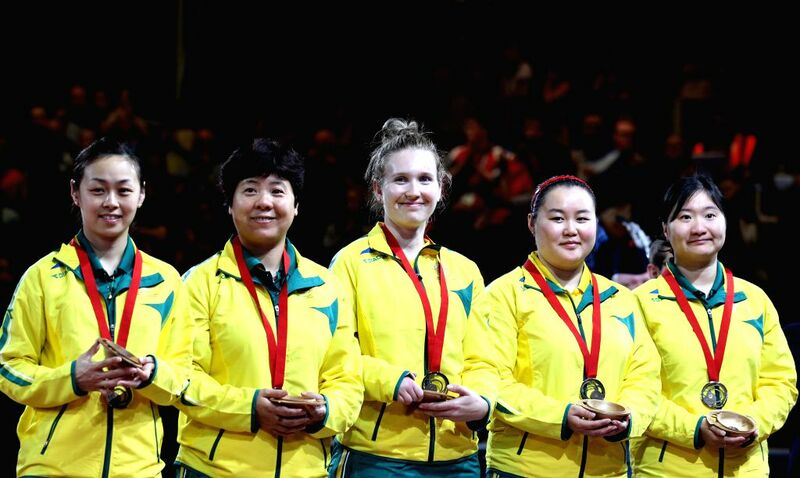 Players of Australia pose for a group photo on the podium during the awarding ceremony for the women's team final of table tennis at the 2014 Glasgow Commonwealth Games in Scotstoun Sports Campus in Glasgow, Scotland on July 27, 2014. Australia defeated India 3-1 and won the bronze medal. 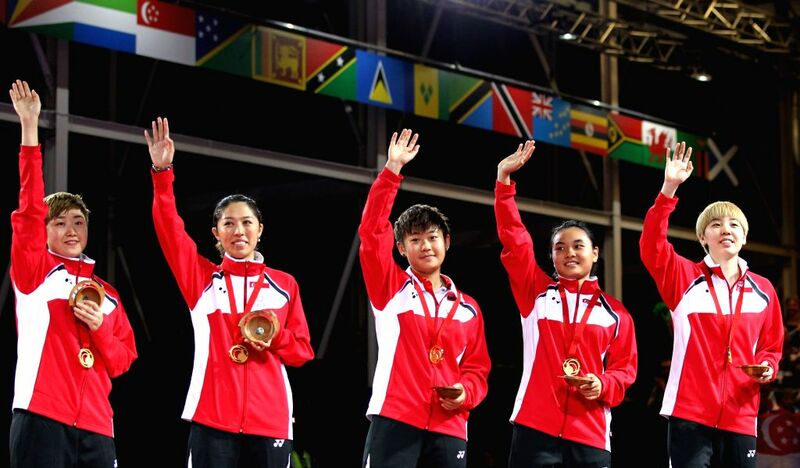 Players of Singapore celebrate their victory on the podium during the awarding ceremony for the women's team final of table tennis at the 2014 Glasgow Commonwealth Games in Scotstoun Sports Campus in Glasgow, Scotland on July 27, 2014. Singapore defeated Malaysia 3-0 and won the gold medal. 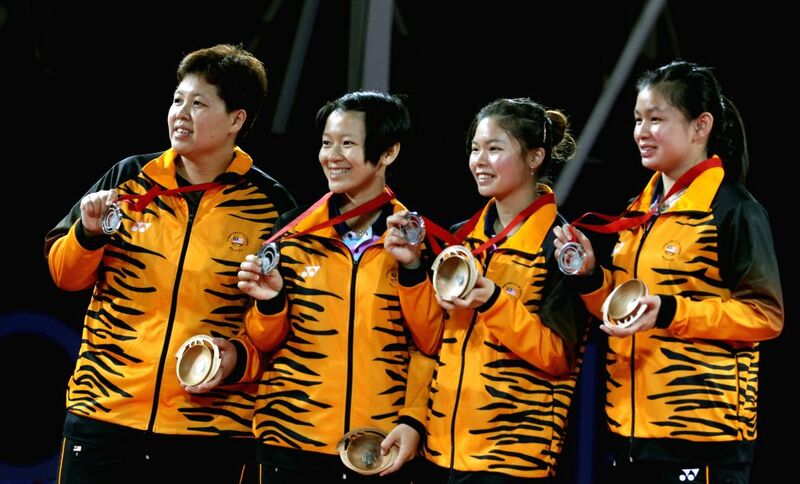 Players of Malaysia pose on the podium during the awarding ceremony for the women's team final of table tennis at the 2014 Glasgow Commonwealth Games in Scotstoun Sports Campus in Glasgow, Scotland on July 27, 2014. Malaysia lost the match 0-3. 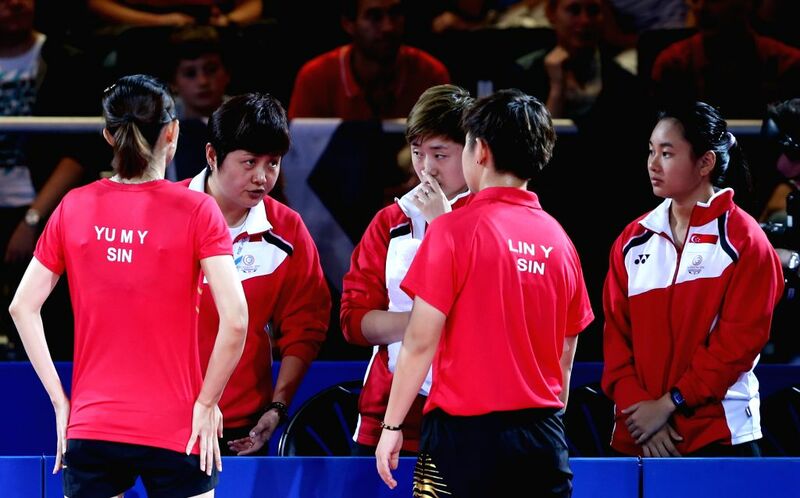 Jing Junhong (2nd L), coach of Singapore, instructs to Lin Ye (2nd R) / Yu Mengyu (1st L) of Singapore during the women's team final of table tennis against Malaysia's Ho Ying/Beh Lee Wei at the 2014 Glasgow Commonwealth Games in Scotstoun Sports Campus in Glasgow, Scotland on July 27, 2014. 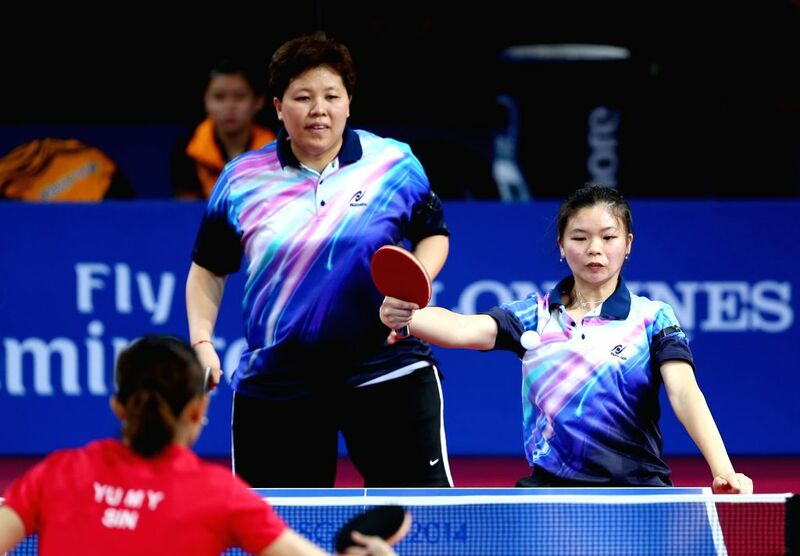 Lin Ye/Yu Mengyu defeated Ho Ying/Beh Lee Wei and Singapore won the gold medal by a 3-0 win.